The Sustainable Groundwater Management Program (SGMP) released the Climate Change Data and Guidance Resource Guide which gives a high-level overview of climate change resources and includes datasets provided by the Department of Water Resources (DWR), tools for working with the DWR-provided datasets, and guidance for using DWR-provided data and tools when developing groundwater sustainability plans. The datasets and methods can provide technical assistance to groundwater sustainability agencies when developing projected water budgets. SGMP staff continues to prioritize review of Alternatives to Groundwater Sustainability Plans and recognizes the importance of this work to the submitting agencies. DWR is targeting the end of the calendar year for release of assessments for each of the submitted Alternative Plans. If you have any questions or comments, please contact Joyia Emard at joyia.emard@water.ca.gov. The Basin Boundary Modifications submission period ends at11:59 p.m., Friday, September 28, 2018. Additional information is available on the Basin Boundary Modifications webpage. All information to support basin boundary modifications must be submitted via the Basin Boundary Modifications Request System. For more information, contact Dane Mathis at dane.mathis@water.ca.gov or (559) 230-3354. Basin prioritization comments submitted and information uploaded in support of comments can be viewed on DWR’s webpage for Draft 2018 Basin Prioritization Public Comments. 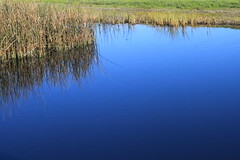 Please be reminded that until the Basin Prioritization list is finalized, the 2014 CASGEM Basin Prioritization continues to define SGMA priority basins.